Free and open to the public. No RSVP needed. 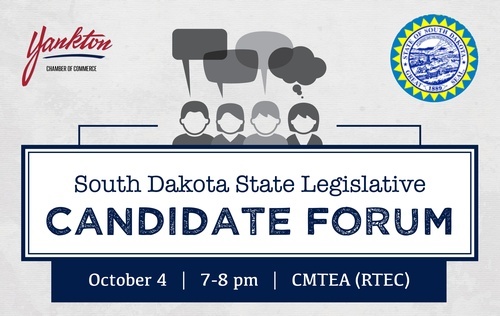 Come hear from our SD State Legislature candidates in this open forum style public event. Each candidate will be given a minute to introduce themselves and give a little background information. This will be a moderated forum with written questions coming from the audience. Responses to the questions will be 90 seconds with candidates rotating who begins first.